The Return of 'Party Hard for Barrie Colts Goal Song!' 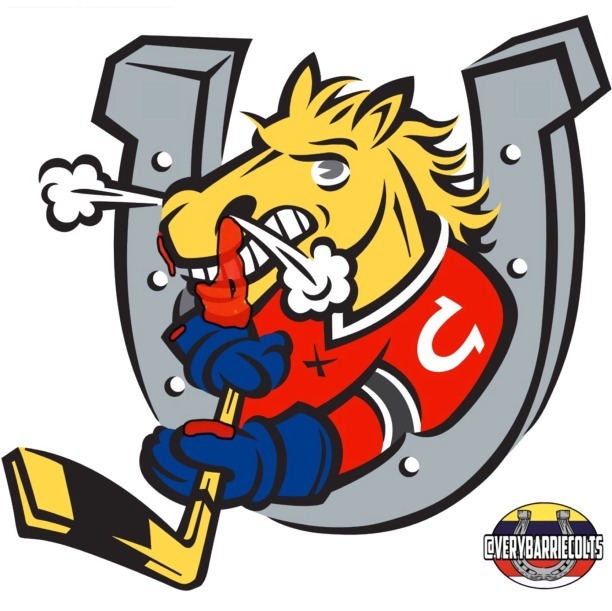 #ColtsThemePartyHard @AndrewWK @OHLBarrieColts - Very Barrie Colts | A website covering the Barrie Colts of the OHL. We are close to the beginning of another OHL season which means that the Colts will be in search for a new goal theme for the 2015-16 season! So, for a third season we will start the campaign again. One thing that Andrew W.K. preaches (other than #PartyHard) is positive thinking. Sure, after failing last year in our attempts to get Andrew WK's 'Party Hard' as the Barrie Colts goal song we could have quit and gone back to business as usual but no. We couldn't. If this wasn't meant to be I do not feel that Andrew Mangiapane's face would not photoshop so well on Andrew W.K! This season the Colts must make Party Hard the goal theme. Not only for the obvious reason that the song is awesome and could really get a barn like BMC going. We discussed last year that the Colts arena has a reputation of being quiet and a party anthem like this could really help get a crowd pumped! The best part is that the reasons for making this the new goal theme are endless. Andrew WK promotes respecting one another, loving one another and treating each other with respect. This in the music industry can be rare. Our thought here is that a catchy rock song like this could not only help pump up the crowd but in return that energy will also help boost OUR team and that is what we want as fans! The song can also appeal to all crowds. Often you find a split with the music played at BMC. It is either older rock that the kids don't care for or strange music about what foxes say that us older fans can't really get behind. A theme like this can appeal to a wider demographic of fans. Now that you are sold on the idea you are wondering how you can help? Well, IF WE KNEW IT WOULD BE THE THEME ALREADY! What do we suggest you try? Try the same thing we are doing! Take to social media. Go on Twitter and Tweet at the Barrie Colts and say "I want Andrew W.K. 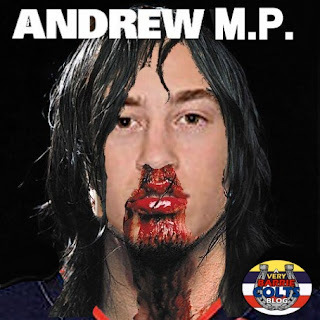 as the Colts goal horn" and be sure to tag Andrew W.K. himself in the tweet who will more than likely support you! If you see others tweeting this, be sure to RT them because if Andrew W.K. has taught me anything it is that supporting one another is the best way to party! And if you tag @VeryBarrieColts we will RT you as well! You can also go to the Colts Facebook page and make the same request! We also recommend using the #ColtsThemePartyHard hashtag on all social media. Be sure to follow Andrew W.K. on Twitter! Also, our friend P.S.A.M.P on Twitter who is a Pittsburgh blogger has a petition going on to try and get this theme as the Pittsburgh Penguins goal horn. If you are a supporter of the Penguins or Andrew W.K. you can help make that happening by visiting his site here.